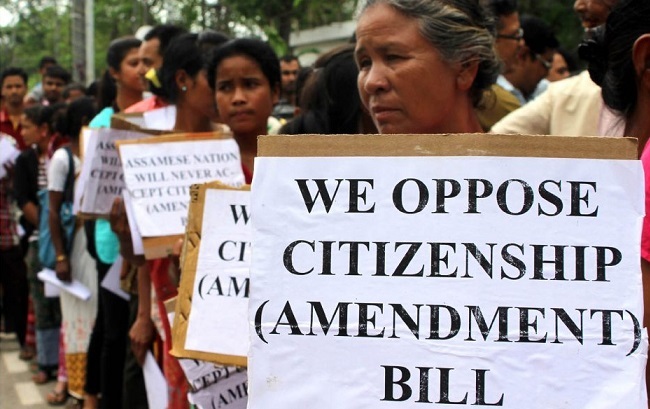 All Arunachal Pradesh Students’ Union (AAPSU), the apex students’ body of the State has appealed to the indigenous people of the State to join the rest of the Northeast in the movement against the controversial citizenship bill. AAPSU activists along with other members of the North East Students’ Organization (NESO) will stage a sit-in protest against the Citizenship (Amendment) Bill, 2016 at the tennis court near IG Park in Itanagar on May 21, from 9:30 am. The sit-in protest is the second phase of NESO’s agitation against the citizenship bill. Notably, a decision to this effect was taken in a NESO executive meeting held in Guwahati on May 11 last. The AAPSU has also requested all the district students’ unions, the student community in general, community-based organizations, NGOs, and political parties to stand united against the Bill that threatens the identity of the indigenous people of the Northeast. The AAPSU leadership was of the opinion that the Central Government has ‘not done the needful’ to understand the problems and aspirations of the people of the State in particular and the north-eastern region as a whole. The AAPSU has been carrying out democratic movements against the illegal settlement of Chakma, Hajong, Tibetan and other immigrants in the State. The students’ body further resolved to organize more democratic movements against the Bill in the near future, under the aegis of the NESO.